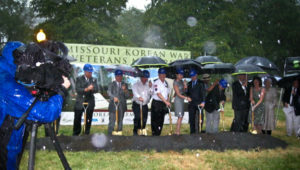 A ceremonial groundbreaking for the Missouri Korean War Veterans Memorial was held Friday, August 12 in Washington Square Park in Kansas City, Missouri. The memorial, constructed of Tilt-Up concrete panels, honors the legacy of Korean War Veterans, present and past, and over 900 from the State of Missouri who paid the supreme sacrifice and gave their lives in defense of South Korea. The well-attended ceremony commenced just as torrential rains hit the area and included remarks by the Director of Parks & Rec., Mark L. McHenry, members of the Missouri Korean War Memorial Committee, and MO veterans from the Korean War proudly in uniform. Thanks were graciously extended to all the many people who have made donations including the TCA and its members Summit Concrete, Needham & Associates, Meadow Burke, Innovative Brick Systems and Tincher’s Welding. The dedication for the completed memorial is scheduled for Wednesday, September 28, 3:00pm and will kick of the 2011 TCA Annual Convention. 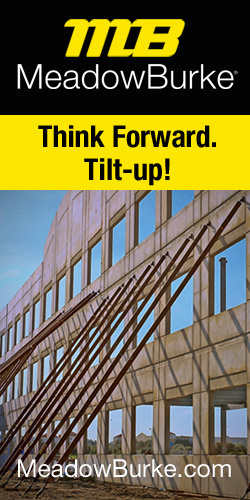 TILT-UP TODAY, a publication of the Tilt-Up Concrete Association, is THE source for Tilt-Up industry news, market intelligence, business strategies, technical solutions, product information, and other resources for professionals in the Tilt-Up industry. 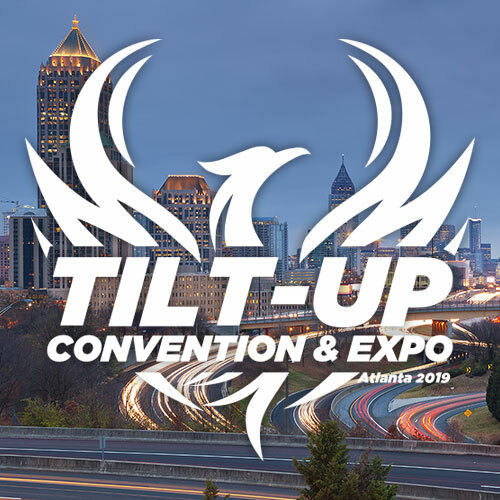 A subscription to TILT-UP TODAY is included in a TCA membership. Subscriptions for potential TCA members are also available. If you would like to receive a complimentary subscription to the publication, please contact the TCA.